In this guest post, WillowTree CEO Tobias Dengel shares his perspective on how customer-centricity contributes to the bottom line. With the widespread adoption of a mobile-first world, the options available to consumers for convenience, speed, and value have exploded in almost every sector of business. If your customers aren’t getting exactly what they want from your product, there’s likely someone else out there who can give it to them, and they know it. More than ever, your customers have the power to determine whether you sink or swim, and understanding their experience of your product is essential to winning their business. All of this competition can lead us to think that the key to keeping our users’ interest is simply to be first to market with the latest technological trend. We at WillowTree have seen this play out over the last year with advancements in AR and VR; the market is flooded with apps featuring a largely superfluous AR component that doesn’t actually do anything to serve users. These apps might be used once or twice for novelty, but quickly outlive their usefulness and are deleted or ignored. That’s a lot of money down the drain for a lot of companies! What does my product help them achieve? How does X piece of technology help meet those goals? Apple’s greatest successes and failures seem to hinge on this very premise; when Apple starts with technology, we get 1993’s Newton, Apple’s first run at a PDA device, immediately panned for failing to actually deliver on its most hyped feature—handwriting recognition. On the other hand, when Apple starts with the customer experience—like when they attempted to improve customer POS interactions—we get Apple Pay which, according to some studies, now accounts for 90% of all contactless payments. 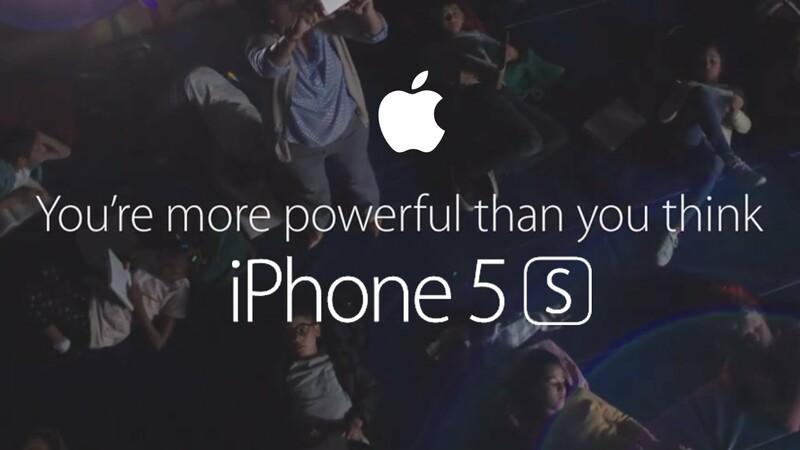 A brilliant picture of this ethos at work in Apple’s company culture can be seen in the 2014 marketing campaign for the iPhone 5s. For a company who had just produced the most impressive smartphone on the market, the expected selling point would be something more akin to “It’s more powerful than you think” or “we’re more powerful than you think.” But Apple knows who’s really in control. Your customers will spend more for a great experience. Customers demand the best, and they’re willing to pay for it. Improvements in customer experience drive higher margins and increase conversions on upsell opportunities within your brand. Your customers will stick with a great experience. Brand loyalty is incredibly hard to come by these days, but companies with a dedicated focus on continually improving the customer experience consistently see higher retention rates. Your customers will bring their friends to a great experience. Forrester’s research shows that “an increase in positive word of mouth from happier customers accounts for about 3% of total CX-fueled revenue potential in most industries and up to 30% for credit card companies.” Similarly, word of a sub-optimal experience can spread like wildfire: ours is a time when a casually dismissive tweet from a Kardashian can bring Snapchat’s stock to its knees overnight. A great experience can actually save you money to operate. If your customers are having a seamless, enjoyable, and fulfilling experience with your product, they don’t need to spend time talking to customer service. Consider Sprint, who made a concerted effort to fix the most common issues that caused customers to reach out to contact centers and reduced their costs by a whopping $1.7 billion per year. At WillowTree, our process for mapping the user’s journey through the products we build goes beyond in-app touchpoints to a more holistic view of our users’ interactions with a brand, both on and off device. We recently held a webinar featuring our Director of Product Strategy, Peter Centofante and Forrester Senior Analyst on the importance of this kind of holistic experience mapping. This process of Holistic Customer Experience Journey Mapping is key to understanding the full range of real-world pain points and opportunities that add up to a user’s delight or frustration with an experience; once you know what your customer needs, you have a much clearer picture of what to build, and why. This post was originally published on WillowTree's blog.